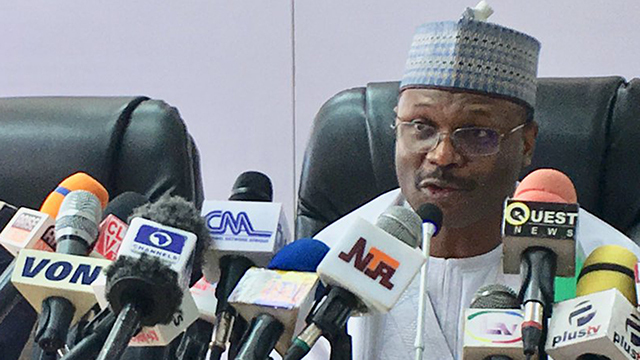 A Federal High Court in Abuja on Tuesday ordered the Independent National Electoral Commission (INEC) to stop the collation and announcement of the result of the governorship and House of assembly elections in Rivers State held on March 9, 2019. The Commission had moved to resume the collation of the result that had been suspended. The PDP was in clear lead, having won all the House of Assembly seats declared, but some desperate politicians who were not part of the elections started promoting fake results. There was a disruption of the collation process by soldiers at some major collation centers which led to the suspension of the process by INEC. The commission on had announced the resumption of the result collation process after considering a report from its fact-finding committee put in place to ascertain remote causes of violence that led to the suspension of the process. However, the AAC candidate that is backed by the APC in Rivers filed an ex parte application before Justice Iyang Ewa, who then ordered the Commission to halt its proceedings. The applicant prayed the court for an order of Interim Injunction restraining INEC from resuming, collating or announcing the result of the suspended elections in Rivers State in respect of the election to the office of Governor and the Houses of Assembly. Inyang Ewa ordered INEC to appear before the court on Friday for hearing of the suit filed against it by the AAC and its candidate in the election. Inyang affirmed that the court will give its final order after it concludes the suits brought before. Although INEC, represented by a Senior Advocate of Nigeria (SAN), Ransome Uwa, approached the court with a motion challenging its jurisdiction, but the Counsel to the plaintiffs, Mohammed Abali, however, objected to the application of INEC, informing the court that the order issued on Monday asking the electoral body to show cause why the requests of the plaintiffs should not be granted had not been obeyed. The judge, however, ordered the umpire to halt the proceedings till the court give the final order.